People receiving housing benefit can no longer be barred from renting properties advertised on one of the UK's largest listing sites. Zoopla says it will prohibit landlords posting "No DSS" ads, a commonly-used acronym of the now defunct Department of Social Security. The National Housing Federation and Shelter found that one in 10 agents in England refused to let to DSS tenants. The BBC found the policy was enforced even if tenants could afford the rent. Approximately 889,000 people in England receive housing benefit to help pay their rent. Yet according to the Ministry of Housing, Communities & Local Government (MHCLG), around half of landlords would not be willing to let to them. 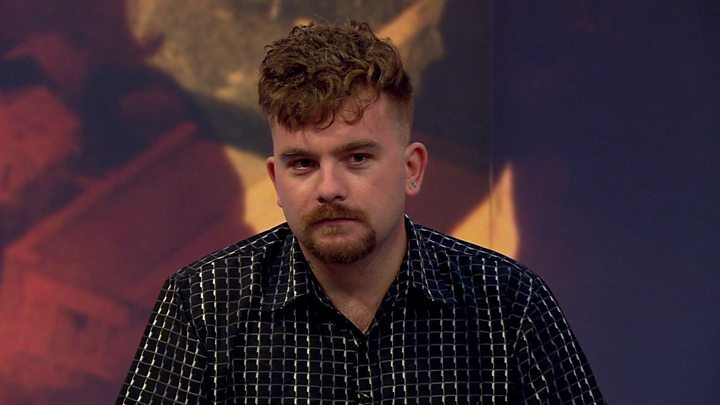 Last August, Birmingham resident Stephen Tyler told the Victoria Derbyshire programme that housing benefit discrimination had forced him to sleep in his car. The wheelchair user said: "We have been trying to find accommodation since we were evicted from our last property when we asked for adaptations to be made for wheelchair access. "I phone anything up to 20 landlords, estate agents, a day and none of them will accept DSS." In November, the National Housing Federation and charity Shelter published analysis of 86,000 letting agent adverts on Zoopla, which found that 8,710 of the postings contained the words "no DSS" or "no housing benefit". Other adverts implied that no one on benefits was welcome - for example by saying "professionals only". Earlier this month, Housing Minister Heather Wheeler called for the practice to be stopped, and said the government would explore the option of making it illegal. The National Landlords Association (NLA) and Residential Landlord's Association (RLA) have said the blanket restrictions should not be used. Charlie Bryant, managing director of Zoopla, said: "We fully support the recommendations of the NLA and the RLA, which oppose blanket bans against tenants in receipt of housing-related benefits, and are pleased to be taking action which clarifies this position." This month NatWest Bank said it would change its restrictions on buy-to-let mortgages - which in one case led to a landlord receiving a demand for the revocation of an existing mortgage while being refused a re-mortgage after she rented the property to a tenant on housing benefits. Parliament's Work and Pensions Committee has launched an inquiry into discrimination against benefits claimants. A legal case last year saw a single mother win compensation for discrimination from a lettings agency that refused to consider her as a tenant because she was on benefits.